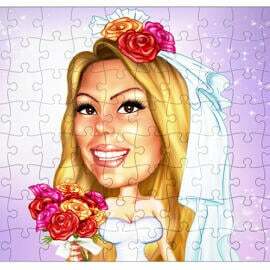 Get a beautiful bridal portrait, hand-drawn from photos in colored digital style with paint effect. Our artist will turn photo to digital painting by hand in Photoshop. 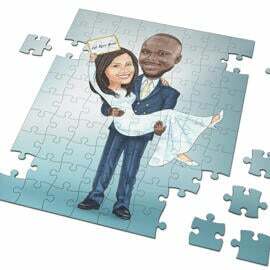 Wedding Hand-drawn Digital Portraits are trending items for Home Decoration, which remind you happy moments on that special Big Day. 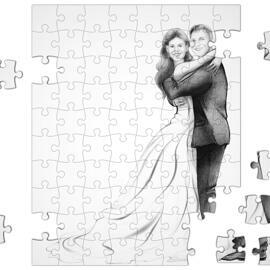 We know that any bridal couple is very beautiful and it will be look amazing as hand-drawn from photo in colored digital style. 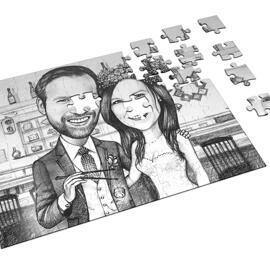 If you like this drawing style and you would like to get your couple as drawn for further printing on a desired surface, then you can simply commission us to draw your pair. 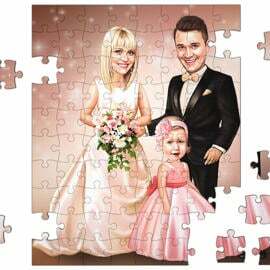 Such a unique wedding portrait will also make a memorable gift on Wedding Anniversary, Valentine's Day or Birthday of your spouse. In order to make portrait more unique and personalized, it is necessary that all photographs of bride and groom were original. 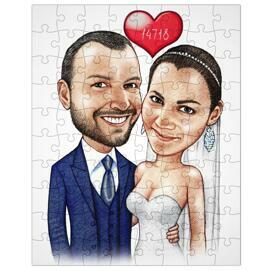 Digital Portrait will be delivered as stunning looking, printable JPG File on your Email. 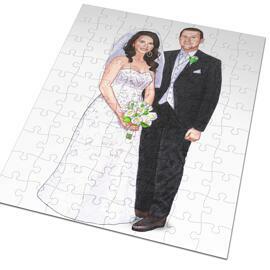 Additional delivery options at extra cost:Portrait printed on Canvas or Photo Paper of multiple sizes. Worldwide shipping is available.